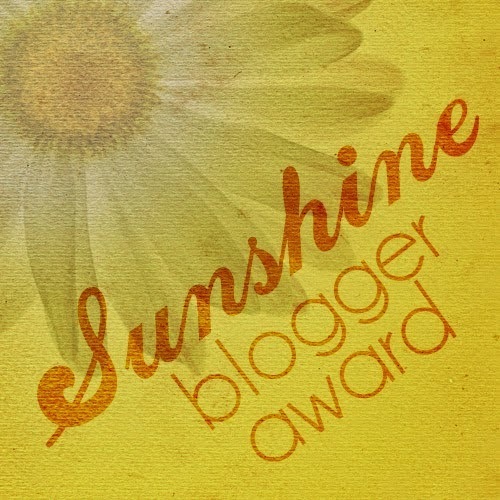 Sweet Elizabeth over at Chasin' Mason nominated me for the Sunshine Blogger Award. 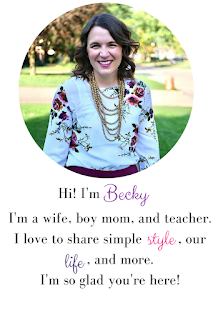 It's a fun way to get to know bloggers a little more. She came up with a list of questions for me to answer, so here we go! I would probably take you to the Iowa State Fair if you came around that time, or some local fair, because fair food is so tasty. We would also probably go to a fun local restaurant like Jethro's BBQ (I know it's not southern BBQ, but it's darn good!) We would go to the local ice cream shop that is walkable from my house and then go get cupcakes at Scratch. Yes, I realize all of these places involve food, but I love to eat! We pretty much always have meatballs in the freezer, and the boys love them, so when dinner's up in the air, I usually got with that. Lately it's been those and home made mashed potatoes. It's just a feel-good meal. I also always have applesauce pouches on hand. I feel like if they've had applesauce, they've had something with a hint of nutrition. I have too many to list. I read such a variety of blogs, some fashion, some parenting, some just random. I feel like I'm kind of a mix of all of that because of what I read. I love Hot Tamales! Dots would come in second. We actually first met on Valentines day while he was on a date with another girl. Then, we connected again through a string of random events that involved our college's Student Senate, Calvin and Hobbes, and lots of instant messaging and emailing over Spring Break. I really should write more of our story out. I appreciate people who are consistently there without a lot of effort. Friends like that are truly needed. Ones who just text to check in. Ones you don't have to clean up the house for. I feel like having children has caused me to more of a planner. Though, I'm not really type-A. I have also had to let some things go and relax a little because of having kids. I feel like I'm a good mix of both, though I am pretty predictable. Just ask my husband. I like iced coffee and coffee drinks, but never straight coffee. I also like tea when I make the time to brew it! Oh, I basically dislike all cleaning... which doesn't bode well for my house, but is is mostly cleaned up. I just don't do the deep cleaning much and don't always vacuum regularly, but I really adore that quote, "Good moms have dirty messy floors, dirty ovens, and happy kids." Let's just go with that. I do a good job keeping up on the laundry, though. I am kind of a night owl. I really like snuggling in with the boys and ready stories before bed, also knowing I'll get to have some me time after they're snoozing. It's hard to pick just one. For DIY, I'd say my jean jacket to vest tutorial. For fashion, I'd be this Lesson in Fashion about Animal Print Pants. For just plain feel-good content, it would be Because Baby News Doesn't Thrill Everyone. and YOU! 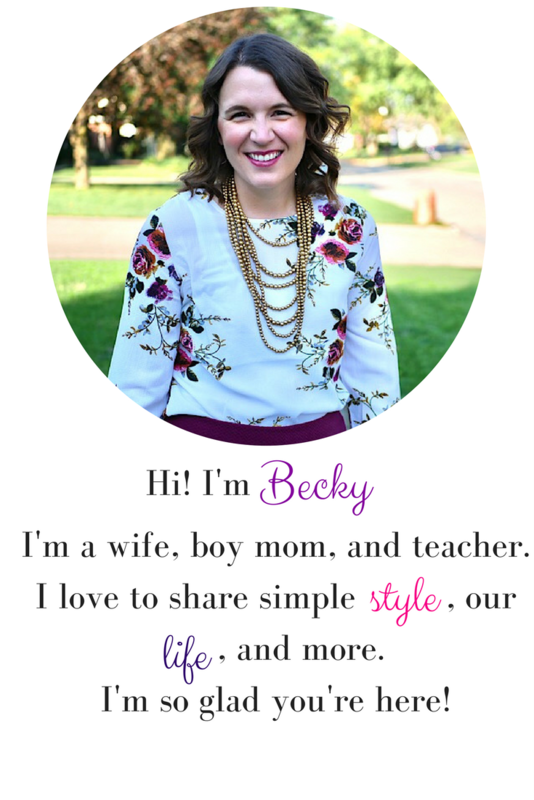 If you have a blog, I'd love to hear your answers! 2. What's your favorite item of clothing in your closet? 3. What's in your purse? 4. Which of your blog posts are you most proud of? 6. What famous person, living or not, would you want to have dinner with? What would you ask them? 7. When do you think it's appropriate to play Christmas music and get the decorations out? 9. What is your favorite shade/color of fingernail polish? 10. What are the next 5 songs that come up on your play list? 11.What's one thing most people don't know about you?